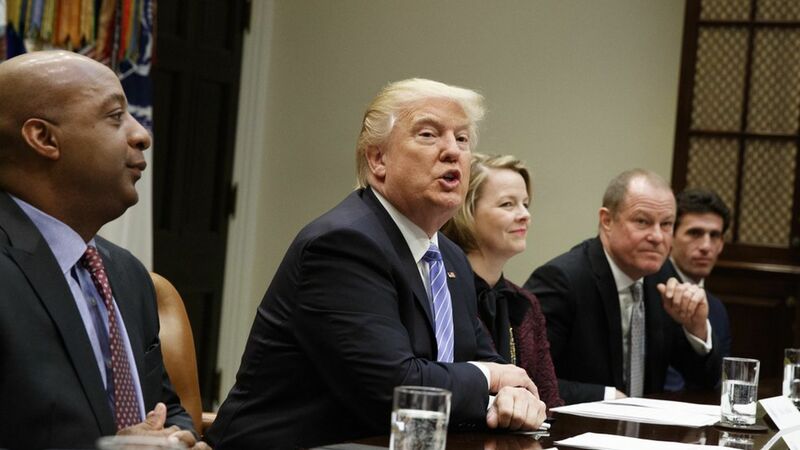 President Trump continued his series of listening sessions with industry leaders on Wednesday, this time meeting with the retail sector. He hasn't gotten off to a great start with the industry — his criticism of Nordstrom for dropping his daughter's line of clothing was a particularly chilling moment for retail leaders. The bigger issue for the sector, however, is the House Republicans and the tax increase they want to put on importers to pay for their planned headline reduction in corporate tax rates. In his statements before the meeting, Trump made no mention of the tax, border adjustment, saying instead that he would lower taxes for both corporations and individuals, without any mention how to pay for it. Another retail headache: The border tax proposal is just the latest headwind to buffet the industry. With margins already shrinking from the competition of online retailers, the industry says the tax would be an added burden that would hurt investment and job growth.